The fundamental requirement for any business to survive in this world is to create value differentiation. The difference lies between what the customer perceives to be the value of a product or service to what price he/she pays for it. The role of marketing is and has been to create a supreme customer value. Incidentally, the ‘customer’ is the single driving factor that governs the existence of a business organization. Hence, with such a unique position, marketing has to have inter-linkages between itself and other departments in the company. These linkages have been happening for quite some time now but off-late there seem to be a special relation that has developed between supply chain management and marketing. In the new age this relation has grown so strong that it is deemed to overshadow every other relation in the organization. Several recent studies have found that despite increased marketing spend to create differentiation among competing products and services, virtually all sectors are characterized by increasing commoditization. Globalization of markets, near instantaneous worldwide communication and substantial improvements in quality control have resulted in a plethora of ‘me too’ offerings. The best example for this is the smart phone market, pioneered by Apple and pursued by every other mobile phone maker in the world. But then wait a minute. Can we look at this issue as not just a marketing problem? Yes, absolutely, if we understand the issue properly we will know that another important and effective way to counter commoditization is using Demand Management. Demand Chain as such is a business model that was developed by close integration of Marketing and Supply Chain Management (SCM), taking into consideration best practices from both streams. In markets where commoditisation is inevitable, customers perceive little difference between products or services, while brand loyalty literally has no meaning. In these scenarios, timely availability and cost have become a major determinant of success which can only be achieved through effective integration of the supply chain and marketing. Supply Chain’s latest tools and techniques such as Agile and Lean Principles can lower the total amount of resources required to provide the necessary level of customer service and at the same time serve the marketplace well where there is an increasing diversity in customer needs and wants. This is achieved through the rapid adjustment of supply to meet the ever changing demand, in short demand-driven supply management. 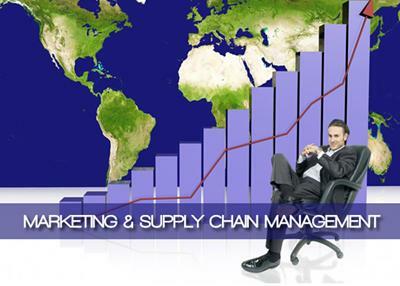 SCM accomplishes all this by reducing the time-to-market and improving the product and service life cycle management. I feel, companies which effectively link their marketing and supply chain operations gain competitive advantage by differentiating not only at the products and services level, but also at the underlying delivery processes level. They start possessing the capability to satisfy different customer needs with differentiated supply chain capabilities and, as a consequence, can lower prices on offerings that are of great value to the customer.